Most of us have never experienced being homeless. And if we’re very lucky, we never will. Not so for seventeen-year-old Abby. Being in high school is hard. It’s even harder when you’re keeping a secret that could ruin your social standing. In Abby’s case, that secret is that she and her family are homeless. It wasn’t always this way. Once upon a time, not so long ago, they had everything. A nice house, good jobs, friends, all that a teenage girl could want. But one mistake led to another, and one stroke of bad luck piled on top of another. And just like that, Abby finds herself living in the family’s van. Eating at soup kitchens, cleaning up in public bathrooms, trying to stay warm while sleeping in parking lots…it’s a lot for anyone to handle. Abby’s determined, however, to overcome this gigantic obstacle. With the help of some new friends, will she be able to do it? I loved this story from beginning to end. It’s a reminder of how quickly things can change, of how everything can be gone in the blink of an eye. And it’s also a reminder that we never truly know what someone is going through. I love stories told in alternate writing styles. When you read as much and for as many years as I have, you gotta mix things up from time to time! Sometimes it doesn’t work, sometimes it does. In this case, it’s a bit of the first but much of the latter. Rhea’s had a rough life by anyone’s standards. Her mom dies before she can hardly remember her, a tragic accident causes the loss of her arm, her dad drinks too much, she’s struggling with her sexual identity…the list goes on and on. When her dad dies and she’s sent to live with an aunt she hardly knows, it’s just too much. So she runs away, fleeing to New York City? Why New York? Because that’s where she feels closest to her mother, where she can immerse herself in her mom’s past as she tries to come to grips with her loss. She copes by writing letters to her mom. Letters that she’ll never send, of course. Letters that she’s been writing since she was a little girl, way before her life went so far off course. She writes about her grief over her dad’s death. She writes about her confusion and pain over being gay. She writes about living on the streets and all that encompasses. And as she digs deeper into her mom’s past, she writes about buried secrets from long ago. This is how the story is told. Each chapter is a letter in itself. It works for the most part. The story is easy to follow, and the narrative of Rhea’s letters are plausible and heart-tugging at the same time. The only fault I can find is that, towards the end, they seem to be a bit long-winded and drawn out more than is necessary. But still, a great story! 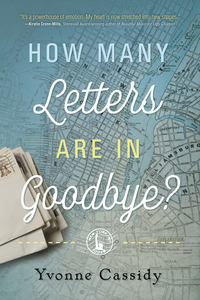 Buy It Now: How Many Letters Are In Goodbye? Predictability in an author is a good thing, but so is the unknown. I enjoy knowing what I’m in for when I read a new selection by a favorite writer. But it’s so much better when an author delivers something different yet equally amazing with each new novel. 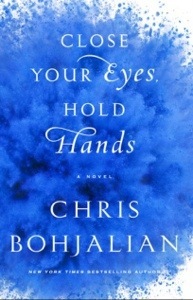 Chris Bohjalian is just such an author. With this latest work, he once again has gone off course in a delightful way for me. Emily Shepard doesn’t have a picture perfect life. Her parents drink and argue too much and are miserable with their lives in Vermont. Emily “fails to live up to her potential” according to counselors at her school. She’s always right on the edge of things, flirting around with major trouble. Still, she lives in a nice home, loves writing in her journals, and adores her dog Maggie. Then it all begins to fall apart in a matter of hours. The nuclear power plant where both of her parents work has a meltdown, killing her parents and scores of other people. Her town is declared radioactive, and to make matters worse everyone blames her father for the devastating accident. So Emily does the only thing she knows to do. She flees her small town and heads to Burlington where she joins the ranks of homeless teenagers trying to survive. Hooking, stealing, using drugs, cutting…Emily experiences it all during the few short months she’s on the streets. If not for the love of a lost little boy she might have stayed there. But one tragic event leads to another and she eventually finds herself back on the road to home, to confront her emotional demons as well as whatever physical ones might remain. This book started off well, pulling me in very early on. It proceeded nicely if somewhat uneventfully for about the first half. Then the story built to a crescendo, ending on a high note. Especially memorable for me is the moment when the reader finds out the meaning behind the title. If anything was missing for me, it would be that I was left with a few questions about some of the major characters. But still, sometimes it’s better to be left wondering than to be given an ending that you don’t like.